Marsha Gomes McKie is the Founder of Caribbean Books Foundation, an international platform that connects the Caribbean Community and its Diaspora through its literature. www.caribbeanbooks.org is fast becoming an inventory for readers to find Caribbean books to read. Marsha is the Regional Advisor for the Caribbean South Chapter of the Society of Children Book Writers and Illustrators, an International NGO committed to Children’s Literature. 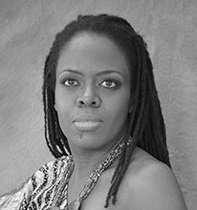 She is a member of the Writers Union and Women in Art of Trinidad and Tobago. She is a published author of a line of Children Books, “Aunty Marsha Children’s Books” which she writes and illustrates personally. She also writes Romance and Folklore Fantasy Fiction. She is an Entrepreneur and avid Caribbean Book reviewer. She lives in the Caribbean and visits the beach to make sand castles regularly. You are welcomed to join her. In 2005, there was a writing competition with the Trinidad and Tobago Theatre workshop and I received an honorable mention for my Children’s Story – “Duck in the Red Boots”, my prize was one year free membership to the Society of Children Book Writers and Illustrators. I also started receiving newsletters from the society, alerts on Conference in New York and Los Angeles where there would be networking for writers and more importantly publishers, editors who would review your work and so much more. As an illustrator I was able to upload my work to their website, submit artwork for use in the monthly newsletter and access articles and contacts for illustrating. It was great but truthfully, that competition made me realize that my stories didn’t have a very Caribbean twist to them, and I have found that Caribbean competitions usually require that very Caribbean element that I didn’t seem to have, so I didn’t look for or joined any more local competitions. I decided that if the Caribbean theme wasn’t coming out naturally, I wouldn’t force it. So if I wasn’t satisfying the Caribbean niche at home, it meant I had to go fight up with the big boys in New York. I didn’t bet my money on it and I looked for a job. From 2006 – 2012, I worked in Public Relations, the pay was fine and the department was new so I was given the opportunity to create a communication strategy and really lead the department. I jumped into the position, like I do most things. I was at work by 7:00 am or before and worked until 5 pm without anyone telling me I had to do it. I got married, I had my first child and four years later I was the youngest Manager, second only to the Executive Director and had five members of staff. Nevertheless, I hadn’t in that time completed another manuscript. I started about 10 manuscripts between 2005 and 2007 but I had completed none, not one and I hadn’t illustrated anything in more than three years. Whenever I went to events, people would say tell us about yourself and I would always pause. I wanted to say, I am a writer and illustrator of children books but I couldn’t. My only reminder was SCBWI. Who for US70 about $500TT per year would send me these packages in the mail about writing – Asking, where are you? When are you going to join the fold? Saying quietly, we are still here waiting on your best seller. SCBWI remained a constant reminder that there was this world of writing out there that I had placed on hold. At the beginning of 2012, I went to a work retreat and they spoke of re-branding and a new strategic plan that meant the company was moving out of the area, they also and asked that employees commit themselves to at least 5 more years with the company. There was a big plan for staff training and so many activities and my mind went blank, all I could think of was five more years and the impact the move would have on my time and family. I knew I couldn’t move with them. I was also reminded that I had to start my Masters degree to be positioned properly in the new structure; everyone had great plans for me. However, I didn’t want to do a Masters Degree just yet, actually I didn’t want to go back to school all at, unless it could help me write and sell something like Harry Potter. You see I’d read so many success stories and none of them came out of the classroom, it was always, always, a story of dedication, of stick-to-it-ness, and plain old hard work. So, I asked myself if I were to die today what would I regret. The first one was not spending enough time with my daughter and the second was these unfinished manuscripts. I dreamt about them, I saw them alive in everything I did, I felt literally haunted by them. So, I pulled out all my old manuscripts and began to make a strategic plan of my own. By the middle of January, I submitted a resignation letter that gave 6 months notice and never looked backed, no one knew but top management and my family; my boss didn’t announce it hoping that I would change my mind. My mind was already gone; it was travelling daily to a distant land where my books were real. One year later with a successor firmly in place I walked away from full-time employment. My goal was each character had to be given a home on a shelf. By the middle of the year, like magic, I got an email from Joanne stating that she had stepped down from the position of Regional Advisor and members could apply for the position. Joanne knew nothing of my plans. It felt like faith, and I knew the minute I saw the email that the position was mine. I applied, I was accepted and the rest is history. During the years I designed www.caribbeanbooks.org an international platform that connects the Caribbean community and its Diaspora through Literature. By purchasing a book through this site you help fund a NGO that supports Caribbean authors. I’ve completed a number of children books and ventured into the Romance genre and have plans to write Science Fiction and Young Adult. I have so much more material to write but it’s time to start publishing. The journey is worth it if you keep focusing on your artform and not the years passing by.